No matter what type of business you operate, if you’re using a traditional CMS there’s a good chance you’re struggling with managing and delivering content. 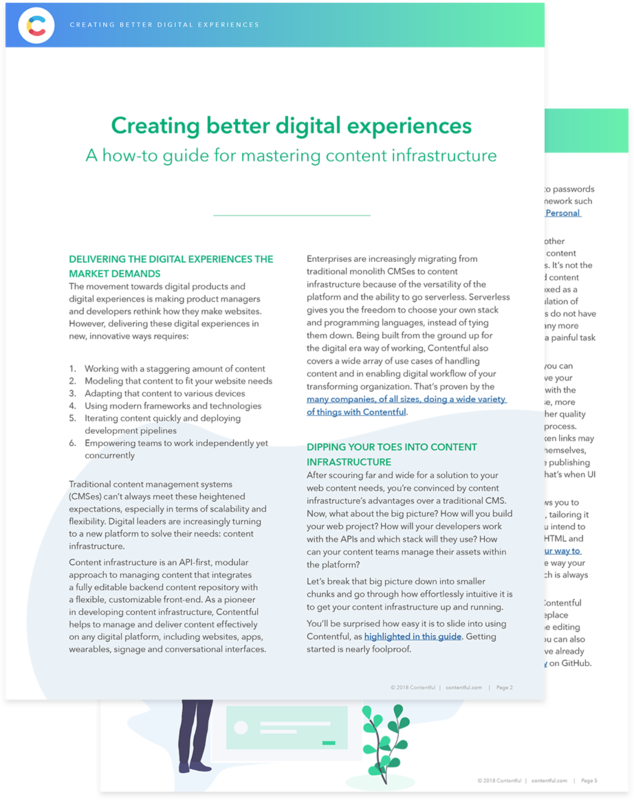 Content infrastructure is cloud-based, made to scale, and flexible in every way that monolithic CMSes are not.
" Content infrastructure is an API-first modular approach to managing content that integrates a fully editable back content repository with a flexible, customizable front-end. "